JOIN for Justice worked together with the Rabbinical Assembly to offer an intensive training for 45 clergy affiliated with the United Synagogue of Conservative Judaism. Community organizing is based on a universal set of principles and practices that have been applied for decades by community organizers to promote vital social change. 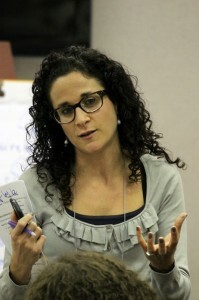 Today, rabbis are learning to apply these same skills within congregational communities to deepen relationships, develop leaders and identify new prospects, bring Jewish values to the center of the public square, and engage the entire community in the meaningful, sustainable work of social justice. 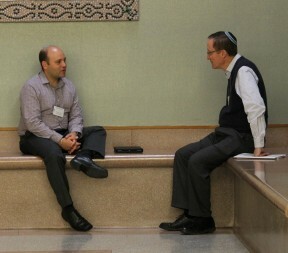 Thanks to a partnership between the Rabbinical Assembly and JOIN for Justice, RA affiliated clergy were invited to take advantage of a unique opportunity for training in community organizing with experts in the field along with colleagues who participated in Congregation Based Community Organizing training during their years at JTS and the Ziegler School. 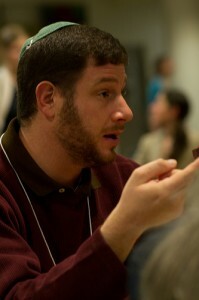 In just 12 short months since I began my position, I have brought my organizing experiences to bear in the following ways: launching initiatives and committees; in 1-1 meetings with congregants, finding out what makes them tick, and then helping them invest their time and energy in meaningful ways throughout the synagogue; fundraising; and lobbying with the Rhode Island State House on gay marriage, health care reform, and gun control. Most importantly, however, I use the skills I developed as a community organizer to search for, lift up, and leverage the powerful stories of the people in my congregation. Our tradition is one that is based on stories and the art of conveying them clearly and in an impactful way, and community organizing is fueled by those very same practices. Organizing has helped me realize the power of a person’s story, a personal narrative that can reveal so much information about not only what keeps a person up at night, but also what inspires and motivates them to wake up in the morning. More importantly, creating a space for people to feel comfortable sharing their own personal stories deepens the sanctity of our community because it allows people to join each other in their experiences, many of which are similar in nature. There is tremendous power that comes when people can come together around similar issues and work together to effect and implement change. The challenge is trying to find ways to train others in the art of organizing so that they too can appreciate the monumental influence it can have on building holy community. The training I received through this cross-seminary course in Congregation Based Community Organizing … significantly shifted the way I understood the business of synagogue life. I was exposed to a model of leadership rooted in relationships and in assessing and leveraging power, not power over others but power with one’s congregants, colleagues, local congregations and interest groups — leadership that is collaborative rather than hierarchical…. 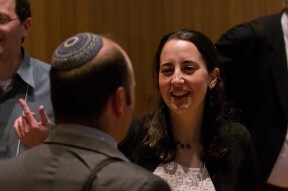 By helping me identify actionable issues to tackle as a community and leaders to spearhead the process, my training in CBCO focused my rabbinic vision and fine-tuned my rabbinic hearing. I use community organizing principles almost every day in my rabbinate. They inform how I prioritize my time. Because of my community organizing training, I continuously build relationships, listen to my congregants more deeply, think strategically about how I want to accomplish my goals, and tell my story publicly so that others can relate to my Jewish journey and my priorities. 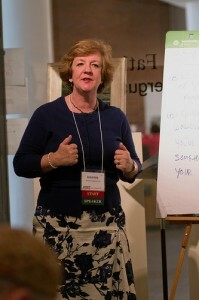 When I entered my kehilla 3 years ago, I set up one to one meetings with each board member. Establishing those relationships early on helped me to better understand the community, build trust with the board members, learn about what mattered to them, and get the help I needed to fully integrate myself into the community. Read what the Rabbinical Assembly is saying about the impact of this training in the Conservative Movement. Additional training opportunities are available. Click here to explore our trainings on Putting People First: Elevating Kehillah Through Relationships. To explore ways your organization or community can learn from JOIN through consulting, please click here.